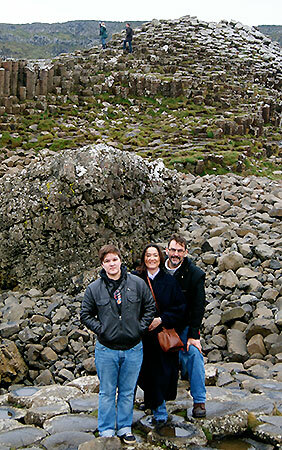 As a library director and assistant professor at Northeastern State University, I knew my time as a Fulbright Scholar in Belfast, Northern Ireland would be remarkable. But my Fulbright experience went well beyond my expectations. My research benefited me both personally and professionally as a result of collaborating with colleagues at my host institution. My paternal grandfather is from Northern Ireland. I am of Haudenosaunee heritage on my mother’s side. My interest in governance as it relates to education is to ensure the rights of indigenous people, where they are involved in meaningful participation of the civil society in policy making and administrative processes. 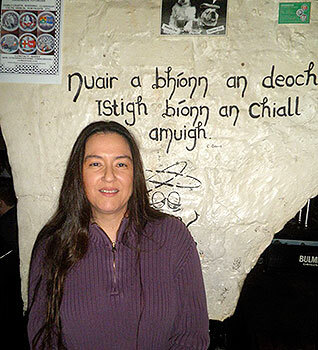 There is an emergence of policy frameworks in Native American communities, as well as in Ireland, that is taking place where community members are no longer passive recipients, but rather active participants who are designing language revitalization programs for their children’s education to insure their language and culture survive. This is of personal interest to me because my ancestors, both in Northern Ireland and in the United States, were shaped and influenced through oppression by educational governance practices in the past. Being able to research a topic that resonates with me on such a personal level was very gratifying. As a Fulbright Scholar in governance, I researched government-directed educational policies and practices for Irish children at Queen’s University Belfast. 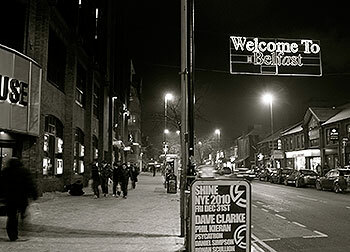 I expected to learn from an academic standpoint about policies and procedures, but I developed a better understanding of the richness of Belfast’s people by living among the community, which extended well beyond the politics behind the policy. Wanting the best for your child, giving your child the chance to learn about his or her heritage, and being able to speak their own native language are universal points of view held by all communities, no matter the country. Through language revitalization initiatives communities also preserve the nation, their way of life, and the people’s unique cultural heritage. I examined current Irish Department of Education policies for medium schools, which are schools that provide education in an Irish-speaking format where students acquire the Irish language through language immersion while studying the standard curriculum. In addition, I conducted postdoctoral research at Queen’s University Belfast Institute of Governance on the historical perspective of government directed policies, practices, and structures of the education of Irish children through a national school system. Specifically, my research focused on political, social, and cultural dimensions of government policy formulation and to draw comparison to related research collected on American Indian students from the context of identity, citizenship, and cultural studies. My project offered a method of examining statistical information, curriculum reports, classroom assessments, and funding structures of the Department of Education of Northern Ireland (DENI). Various interviews with DENI administrators, as well as with Irish medium principals and teachers, were carried out to enhance archival and current research documents that I had compiled. Through collaborative dialogue, all parties were able to discuss meaning, effects, and implications of language revitalization through Irish medium schools. It provided me with an opportunity to better understand diverse educational public policy from a global and cultural perspective. I also was able to form collaborative collegial partnerships with individuals in DENI and in K-20 grades extending from kindergarten classrooms to graduate school programs. I also attended several departmental meetings, university seminars, served as a ‘Debating Matters’ judge, and provided guest lectureships on American Indian language revitalization efforts. Presenting an overview of the research performed in Northern Ireland and sharing U.S. practices through informal seminars and guest lectures also provided me with an opportunity to represent Northeastern State University and presented a venue for sharing American and institutional programs and practices with other professionals in the field. As a direct result of my presence at Queen’s and in Ireland, several colleagues from various institutions based in the United Kingdom continue to collaborate in research and practical application opportunities with me. I spent a great deal of time at Kelley’s Cellar with Mr. Colm Mac Aindreasa, a colleague from St. Mary’s University College, who works in their Áisaonad LánGhaeilge Resource Center creating educational material for Irish medium schools at the Primary and Secondary levels. Mr. Mac Aindreasa is from the “Class of Seventy One,” one of the original nine children who attended Bunscl Phobal Fierste on Shaws Road, Belfast. The class of ’71 were the first pupils to attend this first all-Irish school in Northern Ireland, which is considered the flagship school in the Irish medium sector. Sean Mac Anidreasa, Colm’s father, was one of the parents who had an idea to establish a street in Belfast where Irish was spoken. Forming the school was his first step. Being able to learn from Sean and Colm, and form a lifelong friendship with them is a great honor. I have the Fulbright U.S. Scholar Program to thank for that.